Someone has been watching Wren for weeks. She can’t see them, but she can feel them. Can feel their eyes on her as she leaves her dorm, as she walks down the street with her friends. This fact becomes startlingly clear when someone poses as her boyfriend on the chatting app, ChatMe, and sends her a link—a link that, once Wren clicks on, won’t be able to exit. Not without repercussions, anyway. Wren learns this lesson the hard way. She soon learns that her stalker is none other than Vee Carper, a girl Wren made the mistake of cyberbullying during their senior year of high school. According to Vee, Wren ruined her life when she made those hurtful posts, and now she has to pay the price. 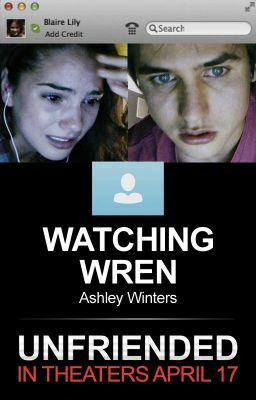 Trapped online with Vee, Wren is forced to do things in order to amuse the girl who has ultimately taken her hostage. If she doesn’t, she will be punished. If she logs off, someone she loves will die.